I’ve crowned myself the QUEEN of getting over colds in 24-48 hours. No joke. I used to get sick and stay sick for weeks a few years back. But now the second I feel a tickle coming on I kick all of my tricks into gear and they work every single time. When you think of the holidays what pops into your mind? Family? Friends? Laughter? Food? Bingo! Let’s be real. Holidays are always filled with food and I think that’s one of the best parts! Good food shared with good company is truly the way to my heart. But we all know holiday gut health can be tricky. Who doesn’t love a good healthy picnic!? When I think of summer I think of picnics right away. I’ve ALWAYS been a huge picnic lover because they combine so many of my favorite things – being outside, being with people I care about and eating good food. My Specific Carbohydrate Diet Ebook LAUNCH!!! I can’t believe the day is FINALLY here!!! After months of creating specific carbohydrate diet friendly recipes, testing them (and retesting them), photographing them, editing photos and designing the pages of this ebook, it feels surreal that it has finally launched. I thought it'd be fun to share what my favorite products were that I discovered this year to help give you all some inspiration going into 2018. If you haven't tried these, make sure to add them to your list for the New Year! This post is long overdue. I’ve been talking about the Vital Proteins collagen peptides on my Instagram posts and stories for months now (and a ton of my recipes include it – my creamy coconut turmeric latte, my pumpkin pudding and my paleo coconut pumpkin pie smoothie to name a few. As I’ve been reading “Animal. Vegetable. Miracle” by Barbara Kingsolver, I’ve been continually reminded of how eating seasonally is such a huge and important component that goes hand in hand with eating locally. Because I believe food is medicine, I'm hoping to treat these issues mainly through a change in my diet. After a lot of research (and help from my parents), I've decided to start following "SCD" (the specific carbohydrate diet). It's like paleo in the sense that it is a grain-free diet, but there are differences. 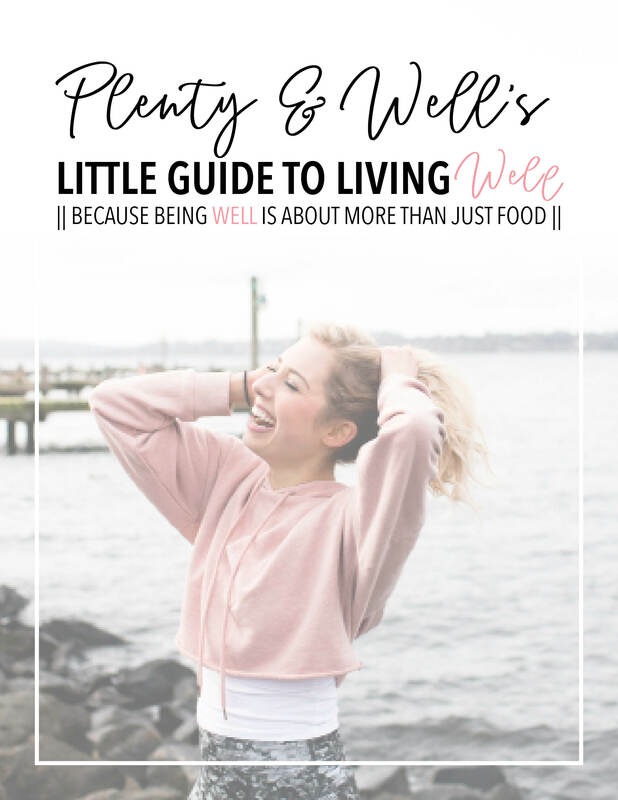 Before I truly dive into what IBS is, how I figured out I have it, how I discovered the foods that trigger it for me and what I do to help me feel better, let’s back up a little and take you through a history of my stomach. I’m sure many of you know that I have a very very very long list of food sensitivities. Let’s give it a go- gluten, dairy, soy, apples, pears, raw cauliflower (for some reason super cooked cauli is fine though? With all of my food sensitivities and unknown stomach issues (thankfully I’m on the way to getting some answers! ), loving my gut is necessary. I do whatever I can, whenever I can to help it stay healthy. I do this by eating healthy, eating as little processed foods as I can. (Note: The products for this post were supplied to me, but all opinions are genuine and honest! 🙂 Because YES this company really rocks that much) I’ve gotten this question so many times: “How do I do all that I do? !” Honestly sometimes I’m not even sure. Let me guess, 80% of you think that eating fat will make you fat… Some of you probably even think that thinking about fat is going to make your jeans a little tighter. Well, if that was the truth, then I’d look quite different than I do. Hi. My name is Natalie Kelley and I’m a nut butter addict… And I’m 100% (make that 1000000%) okay with that. It’s true. I love love LOVE my nut butters (and seed butters!). Nut butter on rice cakes and toast. Nut butter in cereal. Nut butter on (and in) oatmeal. Okay, maybe not a miracle worker (I tend to like extremes), but apple cider vinegar sure has A TON of health benefits! I take an ACV shot every day before I workout (sometimes twice a day even). A what? Yes. A shot of apple cider vinegar and water aka the healthiest shot you’ll ever take.